If you’ve never heard of pickle-ball, don’t feel bad, it’s a relatively new sport. Off the coast of Washington, in the Pugent Sound area, is Bainbridge Island and on that island in 1965 after a game of golf, Joel Pritchard, William Bell, and Barney McCallum realized they needed something to keep their kids entertained during the summer months after hearing “I’m bored” too many times. They decided to create their own game with various equipment they already had. With table tennis paddles and a wiffle ball in hand, the kids were sent to the badminton court where the net had been lowered for their pieced together sport. There were no rules at first but with each game, rules were made. The adults began joining in and soon other neighbors, family, and friends started playing the game. Finding that the table tennis paddles weren’t the best for the newly founded game, Barney McCallum decided to make paddles using his bandsaw in his shop. 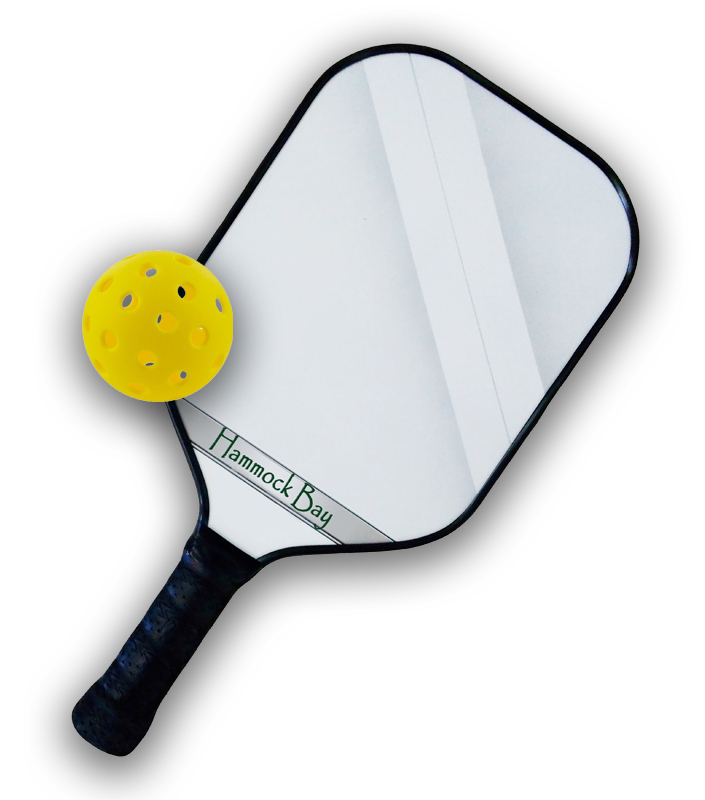 Although the paddle shapes haven’t changed much since his original design, in 1972, Pickle-ball was incorporated in order to help spread the game and gear. The game is supposedly named after Joel Pritchard’s dog, a cocker spaniel named Pickle who liked to steal the ball during the game. Pickle-ball has grown from a game played by a few families in a neighborhood in Washington state to a globally played game! Just like tennis, pickle-ball can be played either as doubles (two players per team) or singles. Unlike tennis though, the same size playing area is used for both singles and doubles. Below is a quick overview of how to play the game. For the official rules and a more detailed explanation, visit the USA Pickle-Ball Association website. Players only get one attempt to serve (unless they score, then they serve until they fault) and it must be an underhand serve with at least one foot behind the baseline. The serve must land in the opposite diagonal court and past the non-volley zone line for it to count. The first serve must be made from the right-hand court and if playing doubles, both team members will have an opportunity to serve and score points before the ball goes to the other team. The exception to this rule is at the beginning of each new game, then only one partner on the serving team serves until they fault, then the ball goes to the opposing team. Each time the server scores a point, they must switch sides and serve to the opposite diagonal court. Points can only be scored by the serving team, the game is played to 11 points and you have to win by 2 however, tournament games may play to 15 or 21 points with a 2 point lead to win. When the ball is served, it must bounce in the receiving team’s court before they can return it, and then the serving team must let it bounce before they can return it. After that, either team can volley the ball (hit it before it bounces) or let it bounce once before hitting it. There is a non-volley zone within 7 feet on either side of the net where volleying is prohibited. If a ball is volleyed from the non-volley zone, it results in a fault. A fault is a result of a rule violation such as; a serve not landing within the confines of the receiving court, the ball is hit into the net on the serve or any return hit, a ball is hit out of bounds, into a player or any permanent object. 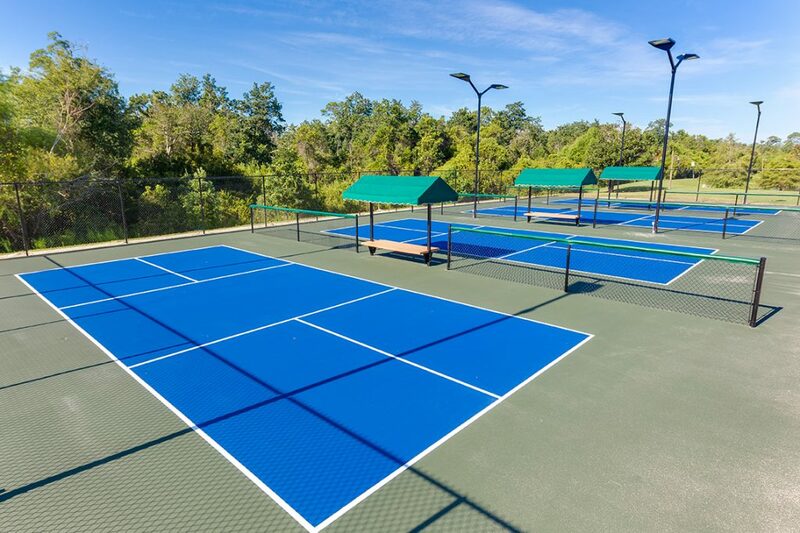 Hammock Bay is excited to have pickle-ball courts in its community, and what better way to show off the new addition than to have a tournament! 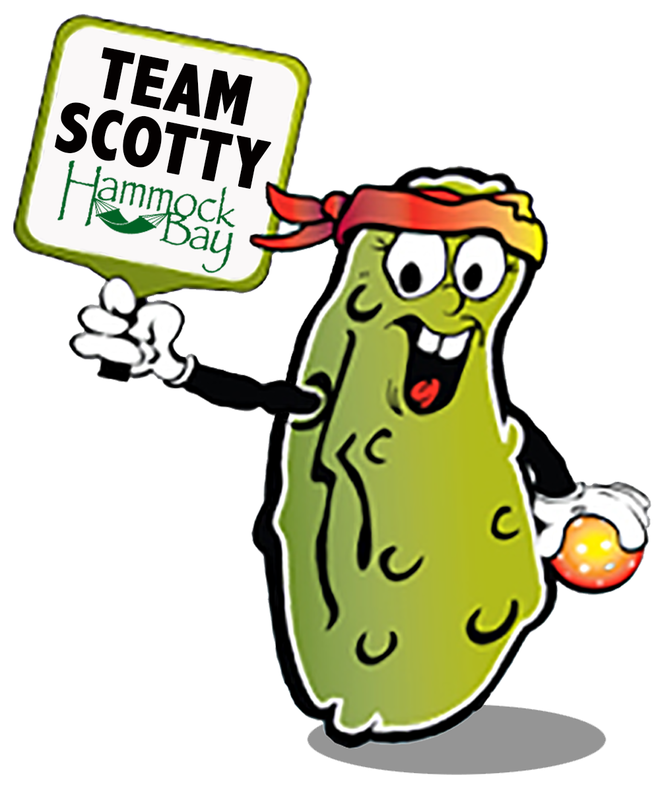 The 2017 Hammock Bay Pickleball Tournament will be held on September 23rd and all the proceeds will benefit ScottyStrong. Scotty and his family are Hammock Bay residents, and like most 10-year-olds, he enjoys running around the neighborhood with friends and trying any sport that is available to him. In April, Scotty’s world was turned upside down when he was diagnosed with Acute Lymphoblastic Leukemia (ALL). While Scotty has a long road ahead of him, he is a fighter and hasn’t lost his infectious smile. September is Childhood Cancer Awareness Month and the perfect time to come together as a community, meet your neighbors, play in or simply watch the pickleball tournament, eat some great food and support a wonderful family. We are excited to have Scotty present the awards and hope you get the chance to join us for this event! Please check out the ScottyStrong Facebook page to learn more about Scotty and his ALL journey. I am 5.0 tennis player, I have been pickle ball for 6 months and looking to play more advanced players to elevate myself.